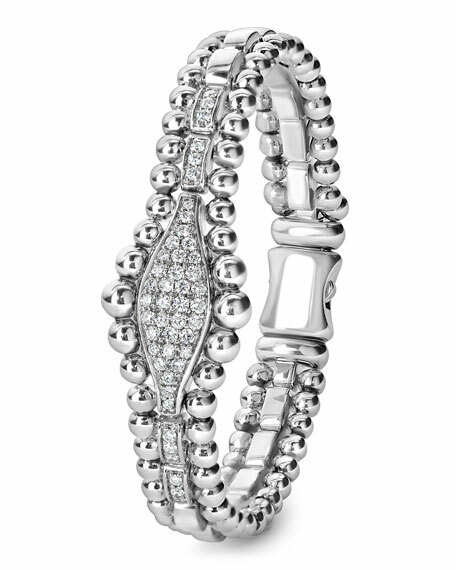 A diamond marquee station accented by sterling silver Caviar beading forms this link bracelet. Finished with a signature box clasp detailing the LAGOS crest. LAGOS diamonds are the highest quality natural stones. 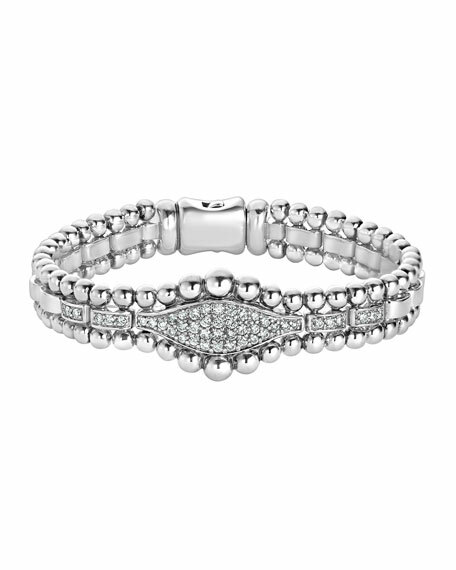 Lagos tennis bracelet from the Caviar Spark Collection. Signature sterling silver Caviar beading. Pavé white diamond links and center marquise station. 0.93 total diamond carat weight. For in-store inquiries, use sku #2149658.